In “Do we even like chickens?? 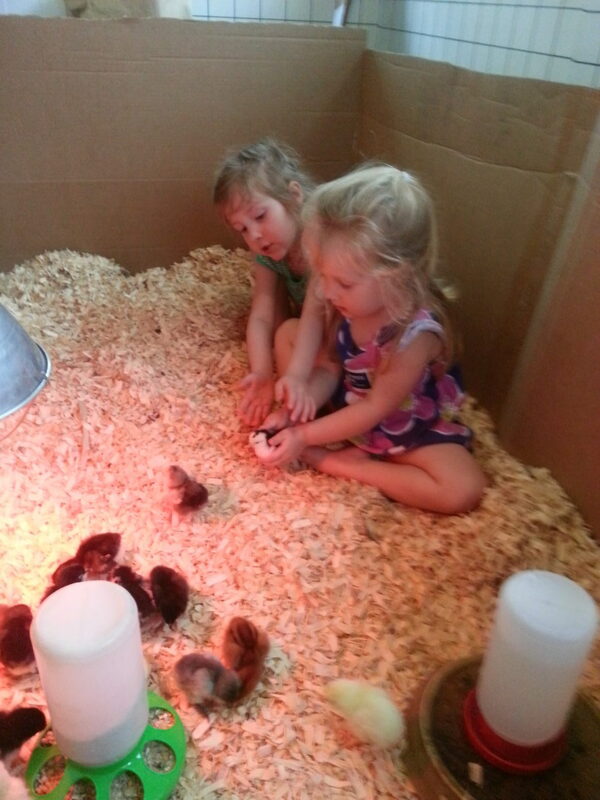 Part I” we learned that yes, we do like chickens! Once we “knew” chickens were a good fit for us and loved, loved, loved their eggs, we wanted to share these fabuloso eggs with others. What I didn’t realize was that when you have to carry yourself (and your children) down to the store every time you needed eggs…sometimes you just go without. But when you have fresh eggs coming out your ears, all of a sudden your weekly egg consumption sky rockets. Literally. Before we had chickens I would buy 3-4 dozen eggs a month. I only used them for baking and occasionally fried eggs. I had totally underestimated how many eggs we would actually consume once it was free for all. We currently average about 7-8 dozen a month. I know that number has probably gone up since we added another mouth to feed. I quit counting eggs a long time ago, but trust me….it’s a lot. That being said, I believe eleven hens averaged out to about 4 +/- dozen eggs a week. That left us with 2 dozen-ish eggs a week to share and/or sell to friends. It was like the lottery, neighbors and friends at church were hoping their number would come up that week and it would be their turn to get truly free range (we don’t even have a fence around our property! ), soy-free, organic eggs. It literally broke my heart to have people walk up and ask if I had extra eggs and have to tell them no. I had this deep desire to give people awesome eggs, even the best organic/cage free/yada yada couldn’t hold a candle to these eggs nutritionally. Before chickens I was paying $5 a dozen for the best eggs I could find at the store. I did the math (back before the baby was born and I lost my mind completely) and it cost on avg about $3 per dozen out of our pocket during laying season. That is what I decided I would charge friends and family. I had people tell me I needed to charge more and make money, but I just wanted anybody who wanted exceptionally awesome eggs to be able to afford them. Besides, this was my “hobby” and I loved it. So if selling eggs at cost could help cover a “hobby” I was going to do any way ….I say heck yes! The deep desire to provide eggs to anyone who wanted them never went away. 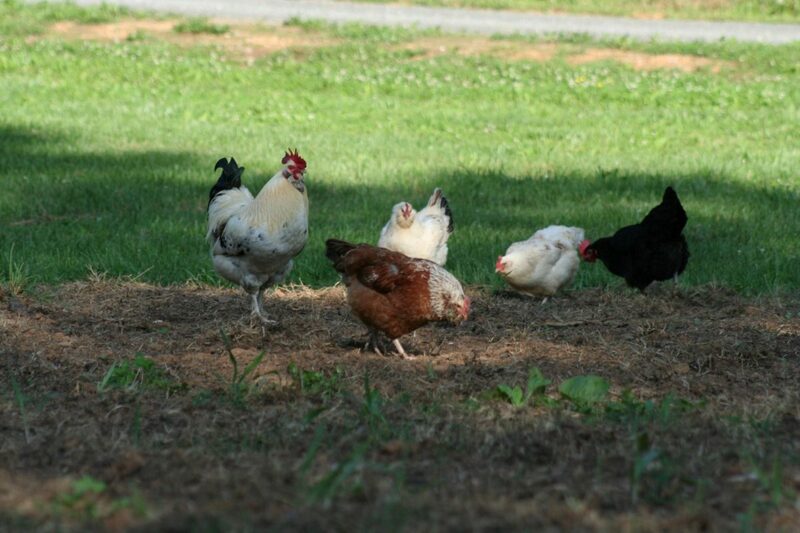 I eventually asked Chad what he thought about getting more chickens the following season (it was October and my chickens had only been laying for 2 months when I asked for more….I told you I had a problem). Chad is a very rational man, if something doesn’t makes sense he doesn’t do it. I on the other hand tend to be a little more flighty when it come to anything farm/garden/flower related. Which is somewhat strange coming from a no nonsense accountant, but I see picturesque, shabby chic, rustic farm ideas and somehow the dollar signs just don’t send up red flags. So asking for more chickens didn’t sound so crazy. But man putting it into writing….ehh….sounds a little looney tunes. But non-the-less, I asked. Chad didn’t put up the fight I thought he was going to. His theory was, as long as I had enough people to buy the extra eggs we could get more! He even got on Facebook to line up potential customers. Slam dunk for the rational man that is my husband. I get to fill the desire to give and get awesome feathered beauties in the process. Life can’t get much better for this girl! So, I went back to My Pet Chicken and started filling up that cart. This time I got to go crazy! You can order for the next year beginning sometime in November. When I ordered chicks for the first time in January (to be delivered in April) a lot of special breeds had already been sold out, for the WHOLE year. Since it was October and I was ordering for the following April, the options were endless. I had fifteen chicks picked out and ready to go, all I had to do was wait for that email to come through that purchasing was available for the next year and hit confirm. I knew that certain breeds sold out fast and I did not want to miss it, so I checked my email constantly once November arrived. I remember I was with my mother-in-law at the time, on an outing with the girls, when I got the email. We were having tons of fun and I randomly saw there was an email on my phone. I pulled it up and panic struck. My Pet Chicken had sent the email 19 minutes before. Nana (mother-in-law) must have thought I was crazy when I asked her to keep an eye on the girls while I hurried and hit send on my order. I was 19 minutes behind people….19 measly minutes and 3 breeds were already sold out for the WHOLE year. After making some stressful changes I finally had my 15 chicks picked out and hurriedly paid for, before another one sold out. I was on cloud nine! I had chocolate egg layers, olive eggers, blue egg layers, blue chickens and so many other awesome plumages (is that even a word??). My advice to anyone ordering for the following season would be to be on a hair trigger and also be prepared to make changes. I didn’t have alternates picked out. Which could have been problematic because it cost me more time. I still can’t believe 19 minutes made a difference, but it’s true folks! Let’s just say that when the chicks were shipped out on Monday this time, I had everything ready and waiting for their arrival on Tuesday. But alas, I did not receive the lucky phone call from the post office till Wednesday. Thankfully the girls were another year older and could fill the urge to hold a chickie to their heart’s content. Well almost, I would only let them in the brooder the minute I changed out the shavings and then after that they weren’t allowed in again until cleaning day. But they loved it and I loved it. We have since let our hens hatch several broods of chicks. Which for the time being works great because the hens do EVERYTHING for the babies. No heat lamp, brooder to clean, chicks to show water and food (which sounds way easier than it is), and most importantly no chickie butts to clean!!! If you have never had to brood your own chicks you have no idea what I mean. But trust me, it’s not the most horrible task ever but I certainly didn’t miss it! I do plan on purchasing from MPC again but for now, this busy mama will gladly pass her broody cap to a hen!